The Australian Catholic Social Justice Council’s (ACSJC) Briefing for February is now up on the website. The Briefing covers issues of Catholic social teaching in February 2018, highlighting resources, media items and diary events. It can be read here. This February we will be commemorating the tenth anniversary of the Australian Parliament’s Apology to the Stolen Generations. The Apology was an extraordinary event in Australia’s relationship with its own First Peoples. It was a moment of solidarity and empathy that could be shared by everybody who heard it. Sadly, in the years before and since the Apology, those moments of solidarity have been all too few. 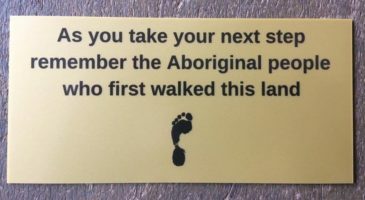 It is important to remember the actions and policies over generations that made the Apology necessary. The Bringing Them Home report, tabled in Parliament almost 11 years before the Apology, pointed out that those who had suffered under these policies ‘endured gross violations of their human rights’.